On the Enochic calendar, this same day marked the last day of Tabernacles, a day that symbolizes the fiery “Great White Throne Judgement”, (Rev. 20). 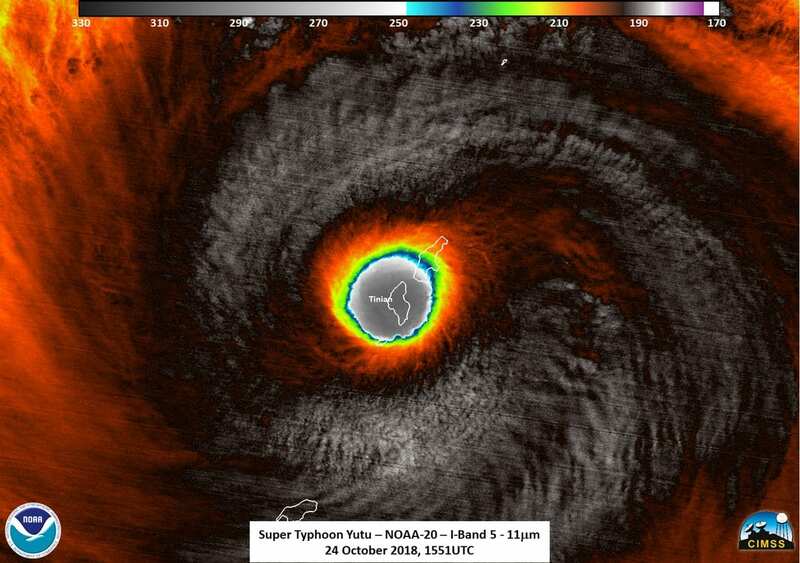 Tinian was the 2nd most powerful storm ever to make landfall on American territory. What does “Cat. 6” Super Typhoon Yutu and extreme Hurricane Michael both have in common? See the Donald Trump Video that was put out that same day. Video concerns Hurricane Maria and the New Year trumpet blast that marked the last seven of 70*7 years from when Israel entered the Promised Land in 1406 BC. And there were other remarkably timed hurricanes last year and this year too, but none so dramatic as these three in relation to the United States. (Wunderground Headline) In the following quote, note the attention drawn to the autumns of 2017 and 2018 by the following anomalies — the same two years that I have been speaking about for the past 30 years in dozens of articles. (See my articles on Harvey, Irma and Maria.) And yet, as I always maintain, God reserves the right to delay the end for another generation. It’s amazing to think that just a couple of years ago, there was much discussion about a U.S. “drought” in major hurricanes. There had been no Category 3 or stronger landfalls on any U.S. state or territory in the entire period of almost 12 years between Wilma (October 2005, Florida) and Harvey (August 2017, Texas)… A 2015 study in Geophysical Research Letters found that a nine-year “drought” in landfalling U.S. major hurricanes could be expected every 177 years—unusual but far from inconceivable. This date was both the New Year on Enoch Calendar AND also the 1st day of Tabernacles! (Recall the 7+7-day gap between the two types of calendars of Enoch.) The calendars run 'morning to morning'. Therefore, 6 am, Wednesday morning was the New Year & also the start of Tabernacles. 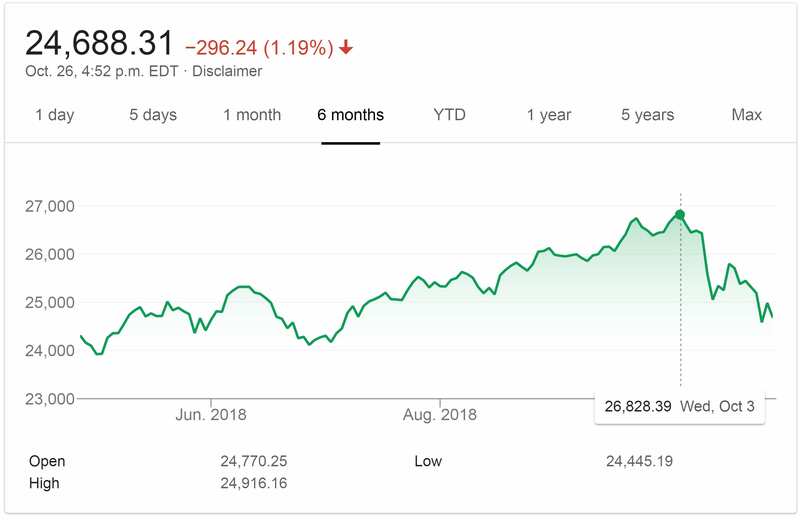 In addition, on Aug., 31st, 2018, the Nasdaq peaked on the last day of the year on the 360 calendar. (On Aug. 31, 2018.) The 360 and 364 are related Enochian calendars. The 360-calendar has already been on the Internet for about 20 years.) The Nasdaq likewise began its steep decline Oct. 3rd, the same day as the others. Does the prediction back on the 8th day of Tabernacles in 2004 have a double fulfillment? That is, both 2007 and now again 2018? So far it’s just a “correction”. However, this is, after all, the start of the 490th Shmita cycle. Perhaps 2018 is just a warning shot as compared to what happened 11 years ago? This is not financial advice! The 2007/8 meltdown was also a Shmita year— but those Shmita-cycles began at the return of the Jews from Exile in the days of Ezra (457 BC) and Nehemiah, Neh. 10:31, (444/3 BC), and not from 1406 BC. However, the Shmita (seven-year cycle) that I always refer to is the one that God commanded Moses. It begins from ‘when Israel entered the Promised Land’ in 1406 BC. Amazingly, both of these seven-year cycles intersect each other in the middle, so as to “divide the week” of years in half in accordance with Dan. 9:27. And this is why the two witnesses prophecy 3.5 years and rise 3.5 days later, (Rev. 11). Both weeks and weeks of years are thus divided in half, (cf., Daniel 9:27). Stop thinking that prophecy is unilateral. Think fractal. The only ONE that ALL Prophecy is about is Christ. 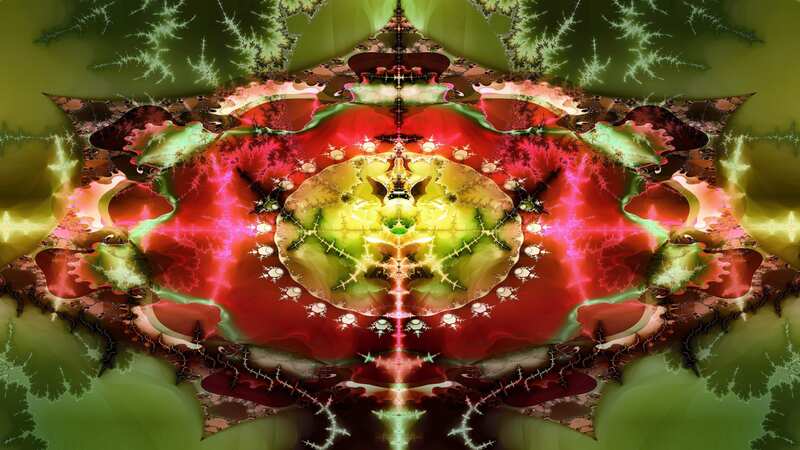 Logically, therefore, the rest must necessarily be self-similar (like a fractal). Endnote: Wheel within a Wheel! The following is complex. Most may want to skip it! However, as viewed from Spring to Spring (and morning to morning), instead it is (3+4) + (3+4) years/days. Therefore, Enoch’s spring to spring Sabbath reckoning does not fully end until 2019 Spring and 2026 Spring, but the evening/autumn to evening/autumn reckoning, as said, the Sabbath day/year fully ends the autumn of 2018 and 2025 etc. Thus, Jesus rose on the first day of the week on the lunar calendar, but on the Sabbath (Saturday) on Enoch’s calendar, because Enoch’s Sunday does not start until daybreak. Thus, the resurrection of Jesus bridges the old and new creations, for He is Lord of all. “The first day of the week cometh Mary Magdalene early, when it was yet dark…” (Jn 20:1).